Yumi Stynes baby has sparked a red carpet row. At 6 months. Another famous man thinks it's okay to insult Yumi Stynes' parenting. 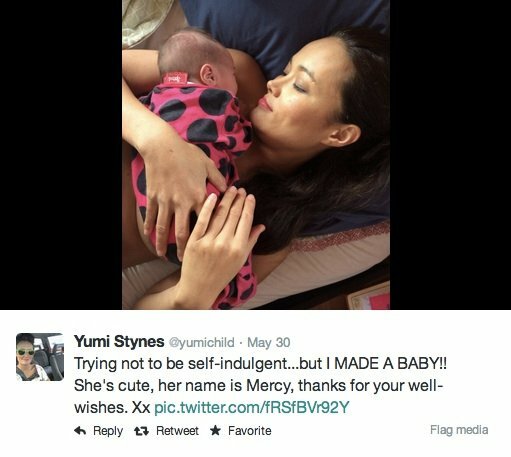 In the last 24 hours, plenty of people have been having their say about the moment Yumi Stynes dared to pose for a picture with her baby. “She was wearing only a nappy. The daughter – not Stynes. Although nothing would surprise me,” Hinch added in a post on his blog, the Human Headline. Stynes also wrote for Fairfax Media of her shocked reaction to the nasty media coverage of her red-carpet appearance. “Looking at that photo of my daughter and I now, I could cry. I want to warn us not to look so innocent! Someone is going to kick us! But there we are, frozen in happy obliviousness, snap, snap, snap,” she wrote. Stynes also wrote of the nature of online outrage, which she describes as creating “a delightful cocktail of anger and righteousness that gives the beholder permission to spew poison, insults and hate at whomever has provoked the outrage”. 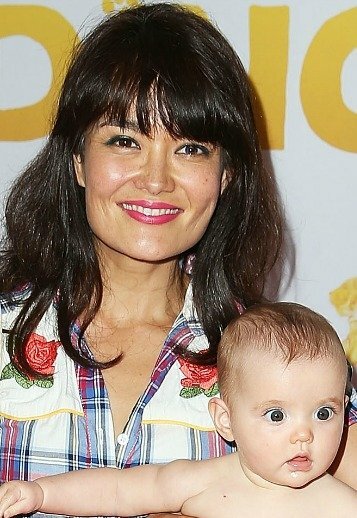 Yumi Stynes and her baby Mercy at the Paddington premiere in Sydney on Sunday. According to a column in News Limited papers, it was a huuuuuuge mistake, fashion-wise and otherwise. Yes. We are critiquing the fashion “choices” of a six-month-old baby. The story went on to label the moment “weird” and call into question not only little Mercy‘s nappy-smile combo, but Yumi’s parenting skills. That is the only thing that can get Stynes off the hook for her underdressed offspring although any parent worth their salt would ask why she was without a stash of spare clothes. The story has divided opinion online over the past 24 hours with many actually supporting the view that it was a bad decision on Yumi’s part. Okay. Line’s drawn. Now we’re mad. So now you’re now a bad mother if you don’t have myriad outfit changes in your bag at all times? We’re not the only ones. Yumi has had a wave of supporters on Twitter, with many people agreeing that the story is, indeed, far fetched. Yumi’s husband, Martin Bendeler, is also not impressed by the implications this story is making about his wife’s parenting skills. Martin would also like it known, not that it’s any of our business, that they did have a blanket with them for Mercy, in case she got a bit chilly. Yumi. 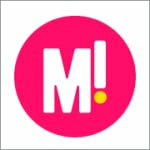 Being a mum. She’s good at it. 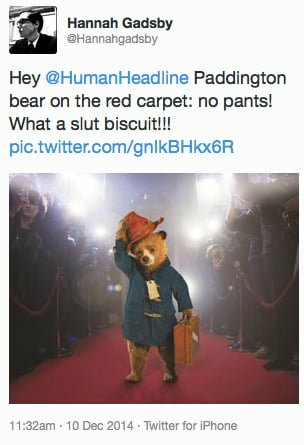 For the record, Mamamia was also at the Paddington premiere yesterday morning. It was a stinking hot Sydney day. it was the premiere of a kids’ movie, and there were children everywhere (including ours). This was not a sophisticated adult function, with cocktails and high heels and designer frocks (well, okay, Nicole Kidman wore a designer frock, we wore shorts). The movie – which is entirely delightful, by the way – started an hour late, and the small people were getting restless. Yumi Stynes is a mother of three. She is no parenting rookie. She has proved her chops when it comes to being able to raise little people. So far, to our knowledge, none of her offspring has suffered from exposure. 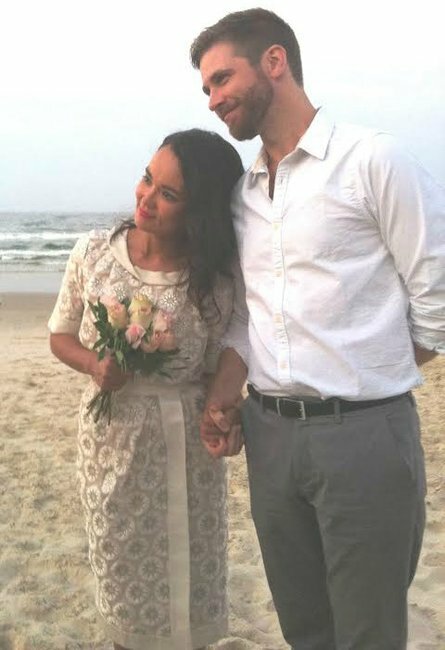 Yumi with her husband, Martin. So. There’s a mum, at a kids’ event, who decided to keep her baby cool on a hot day. She had a back-up for air-con-induced temperature fluctuations, and her gorgeous baby was happy and healthy. Back off, parenting police, there’s nothing to see here. What’s the most infuriating parenting judgement you’ve ever been on the end of?